Your past may shape you, but it doesn’t define you. Own your story, know your worth! It was an honor to provide the keynote for the LA:RISE graduation at the Downtown Women’s Center on April 1, 2019. Ladies, I see you-you are worthy! If ever in the skid row area, please stop by MADEbyDWC to purchase some beautiful items at the store/café. Your purchase goes toward ending homelessness for women in Los Angeles. I just bought my “Diversity Is a Gift” t-shirt by Los Angeles based-street artist Meg Zany. I love the message, design and the fact that proceeds support programs and services at DWC. It was lovely to return to the 4th Annual MakeChange Awards on January 31, 2019, celebrating the work of social impact leaders and organizations that make a difference. 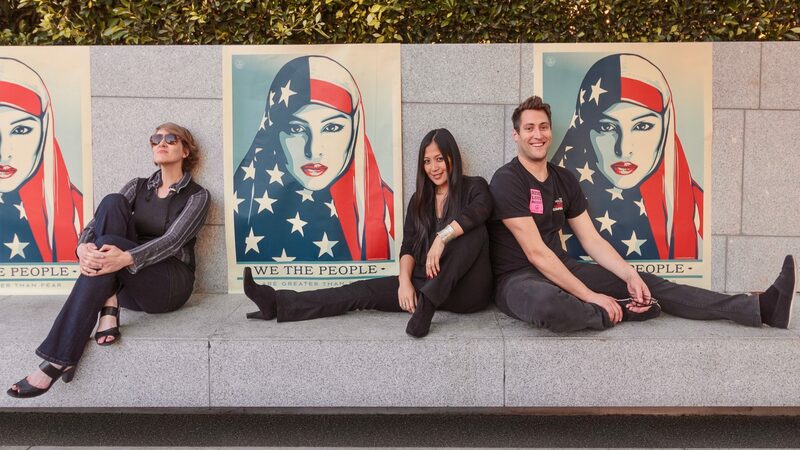 I especially loved the theme this year, “Speaking Truth To Power: How To Be Values-Driven In Your Purpose And Be BOLD” held at the Skirball Cultural Center where the exhibition “Notorious RGB: The Life and Times of Ruth Bader Ginsburg” was being shown. For the month of January 2019, Los Angeles leaders and community members came together and broke into 3 workgroups to collaboratively discuss the P2E grant. It is intended to support regional planning efforts, fund regional plan implementation, and provide resources for direct services to the formerly incarcerated and other justice-involved individuals. It also sets aside specific resources for both supportive services and earn and learn activities which were identified as a major gap by current grantees and local service providers. There’s so much behind the scenes work that happens that make a powerful impact on the community. The brainstorming sessions and group activities were insightful. Let’s collectively improve labor market outcomes and set people up for success! We are the city of angels! Winter Homeless Connect Day on December 12, 2018, in Los Angeles provided over 500 people experiencing homelessness complimentary services thanks to the City of Los Angeles and various nonprofits/government departments addressing the homeless epidemic. Come together Angelenos as a community and continue to serve those in need! Give beyond the “giving season,” there’s a need all year round. On October 4, 2018, the community gathered at city hall to hear about lessons learned from the LA:RISE program. LA:RISE is an innovative partnership that unites the City and County of Los Angeles to help people with high employment barriers get jobs, stay employed, and build a better life. At the REDF Partner Retreat in Seattle on June 12-15, 2018, Kristin Hayden, Founder and Senior Advisor for OneWorld Now! kicked off the event by sharing 7 best practices to living your vision: 1) Be bold 2) Be intentional 3) Make it real 4) Support it 5) Hold the vision 6) Experiment and lastly 7) Own it. YES!!! We wrapped up the gathering at Maslow’s by FareStart. The nonprofit FareStart is a real solution to some of our society’s most pressing challenges—homelessness, joblessness, poverty and hunger. They help people transform lives, create value for their community, and offer a way for everyone to play a role doing something that matters. 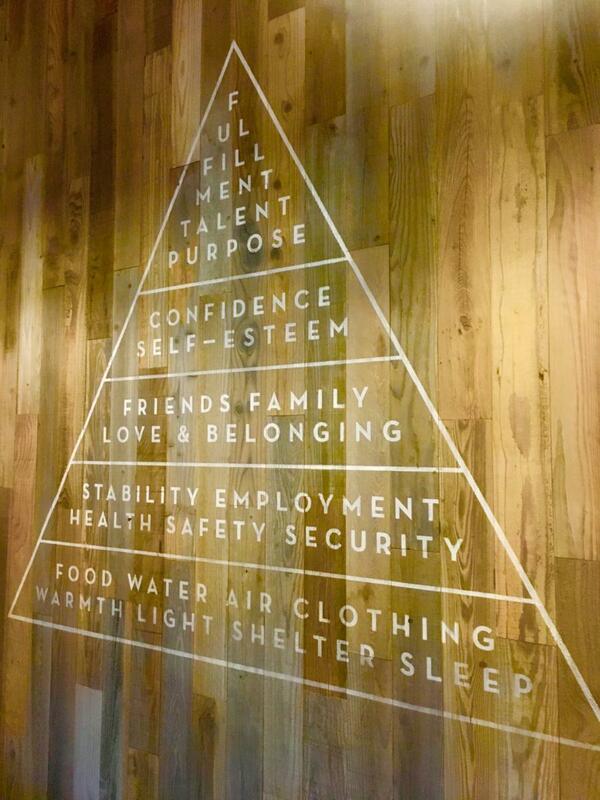 Worth noting is Maslow’s Hierarch of Needs, a theory of human motivation by the American psychologist Abraham Maslow. It’s always wonderful to learn about resources that exist in the community and share best practices. 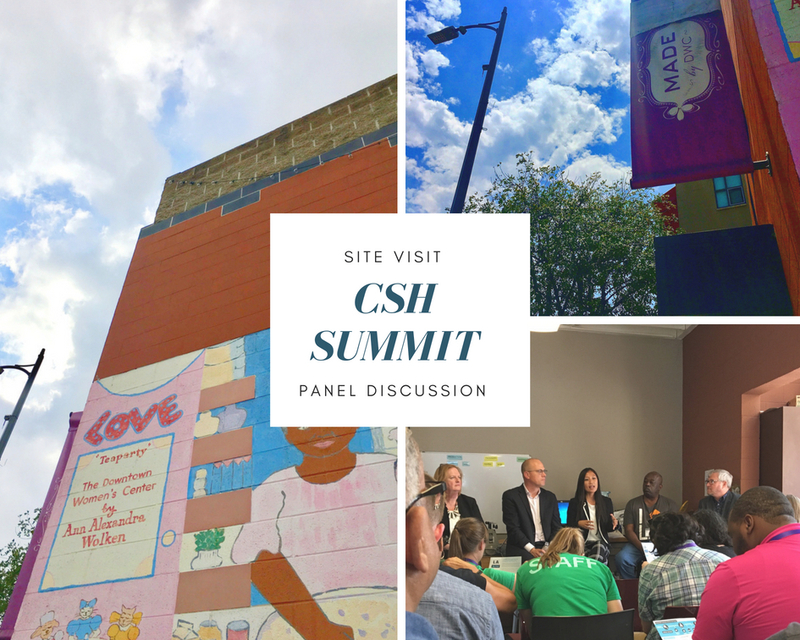 On June 5, 2018, we had an insightful time at the CSH Summit site visit and employment focus – peers and social enterprise panel. If in downtown L.A., please stop by MADE by DWC a resale boutique and social enterprise. Downtown Women’s Center’s (DWC) focus is to break the cycles of chronic homelessness and unemployment. If you missed South by Southwest (SXSW) Conference & Festivals this year in Austin, I highly recommend bookmarking the event for next March. It’s the convergence of the interactive, film, and music industries. If you plan to attend the conference, definitely check out the great selection of social impact sessions to learn more about how you can positively contribute to addressing social issues in your local and global community! 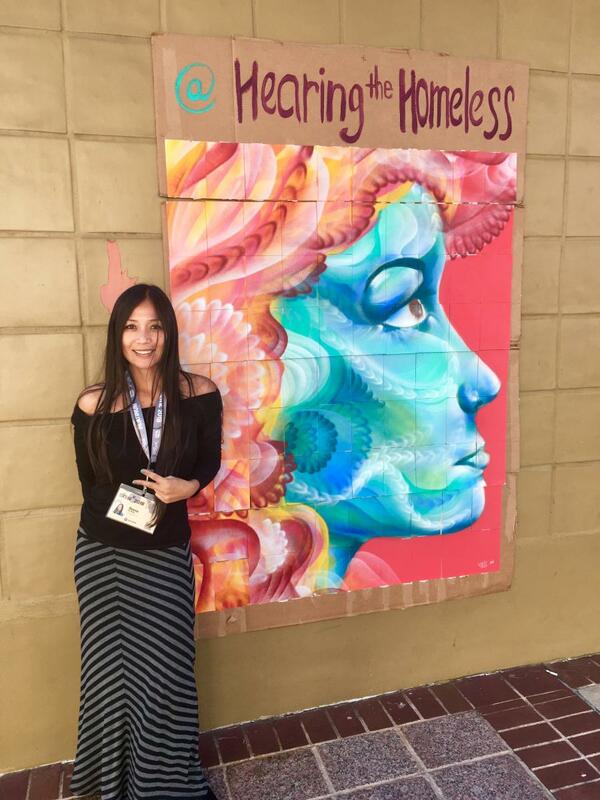 My experience was jam-packed with meaningful insights of social value. 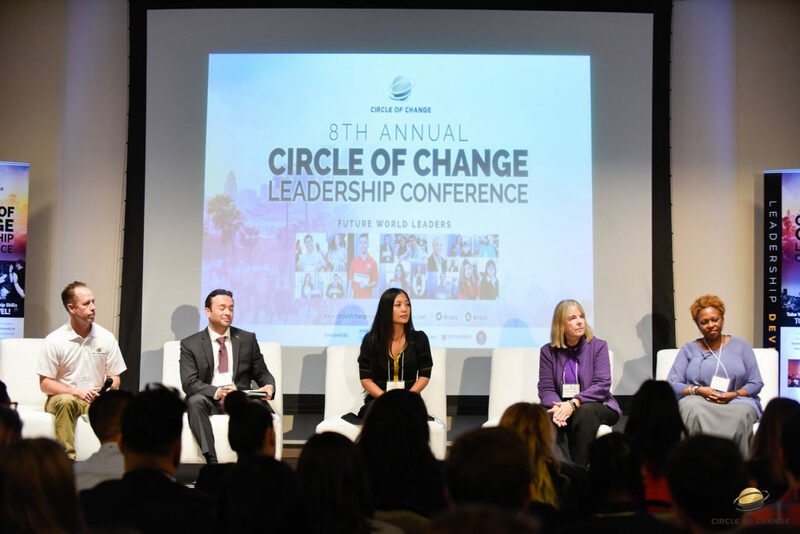 The calling to be a servant leader resonated with me immensely at the Circle of Change Leadership Conference on November 18, 2017. Our panel was focused on sharing the value of social responsibility. Servant leadership is a philosophy and set of practices that enrich the lives of individuals, builds better organizations and ultimately creates a more just and caring world. Let’s continue to invest in others along their growth journey and the betterment of our community. Together we can make a lasting impact!